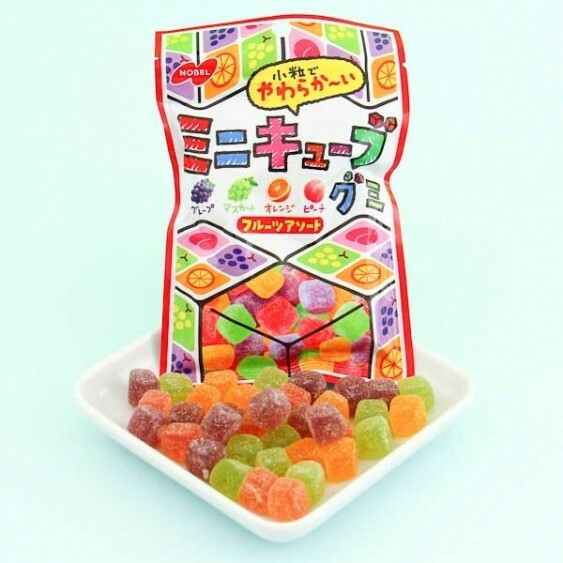 This one colourful candy bag by Nobel contains so much deliciousness inside! 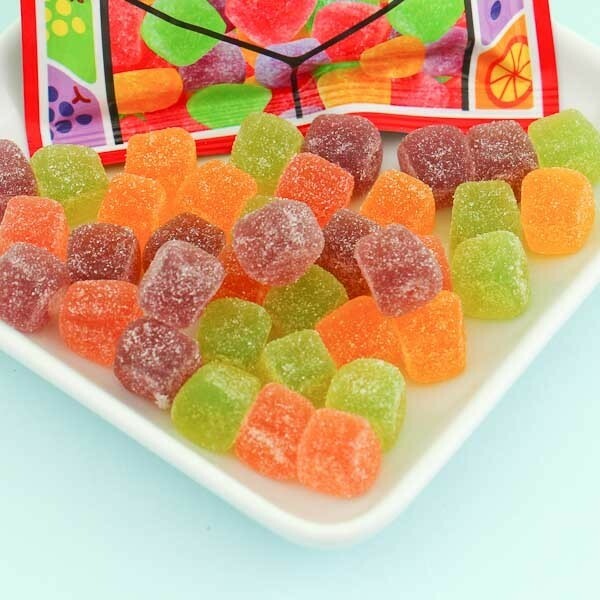 It's a great snack during studying or working hours, especially to get some sugar for productivity. Try all the juicy cube-shaped fruits with a sour topping featured in the package - grapes, orange peach! Yummy!